« Oh Baby!! Peanut Butter Banana Bonbons! Breathe in the Beauty Around You! 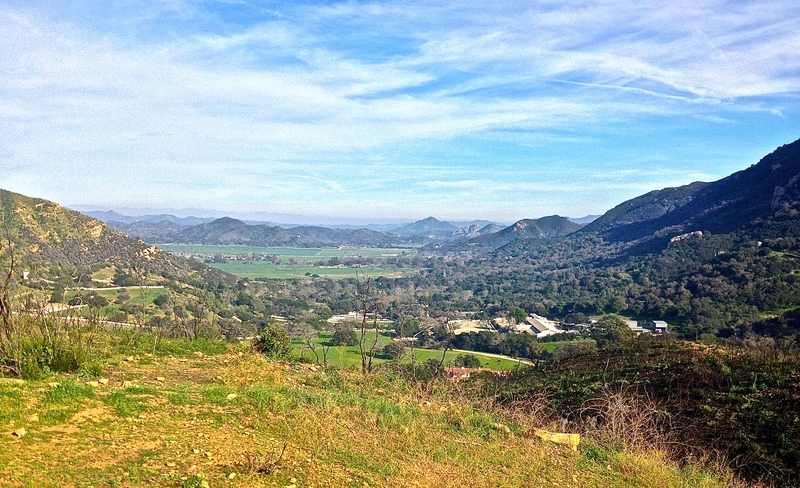 Today two of my girlfriends and I explored the Satwiwa Loop Trail in Newbury Park! OMG….it was absolutely beauteous!! We finally have lush green hills! We hiked up and down approximately 4.6 miles exploring the well-marked trails! Watched two hawks with their amazing grace and wings spread gliding in the thermals! Still so much to see! We get so caught up in our day to day lives and routines and never venture out to see the beauty around us! We are having so much fun getting out once or twice a week to explore all that we have right out our front door! Do you ever get off the couch to take a deep breath and really, really enjoy the beauty that surrounds you?! You should!